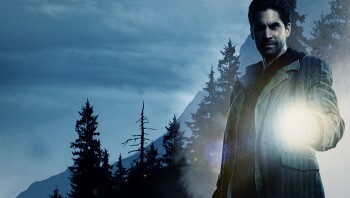 Alan Wake has been placed atop Time Magazine's list of the Top Ten Videogames of 2010. With 2010 drawing to a close, the traditional top-ten lists are beginning to pop up, including at Time, which has published its usual huge collection of year-end roundups. Among them, unsurprisingly, is a list of the year's ten best videogames, but what is a little surprising is the title in the top spot: Remedy's Alan Wake. Alan Wake didn't exactly set the sales charts on fire but it did, according to Time, have a heft that mega-hits like Red Dead Redemption and Halo: Reach just couldn't manage. "Lots of video-game covers have a bold M on their lower left corner, but none have felt as mature as Alan Wake does. Its unsettled titular character carries adult concerns - a stalled career, a troubled marriage - into a psychological thriller set in a town taken over by a shadowy occult force," the site says. "Its mix of meta-awareness and Hitchcockian suspense make Alan Wake a unique and fun experiment and one of the best games of the year." It's an interesting choice, but is it a valid one? I like to think that it reflects the fact that Time isn't a gaming mag and thus isn't as susceptible to hype or the need to cater to the mainstream gamer demographic as other magazines and sites, giving it the flexibility to take a bolder and perhaps more enlightened approach to determining the "best." Then again, I have a certain bias: I said nearly the exact same thing about Alan Wake's predecessor, Max Payne, more than two years ago. The rest of the list is a mix of big-budget blockbusters and indie hits, with Red Dead Redemption and Mass Effect 2 rubbing shoulders with Limbo and Super Meat Boy. I'm not sure I agree with every entry, but that's what year-end lists are for: something to argue about on the internet. Check out Time's complete Top Ten Videogames for 2010, and any other Time Top Ten that turns your crank, at Time.com.